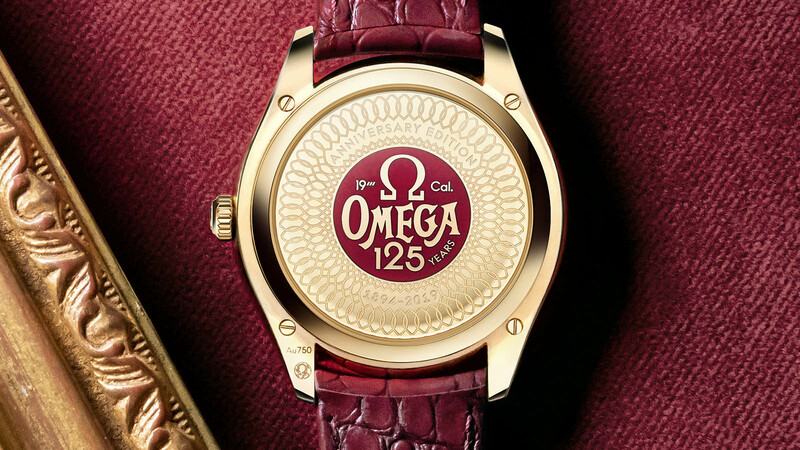 “The OMEGA name was inspired by the company’s revolutionary 19-ligne ‘OMEGA’ Calibre in 1894." 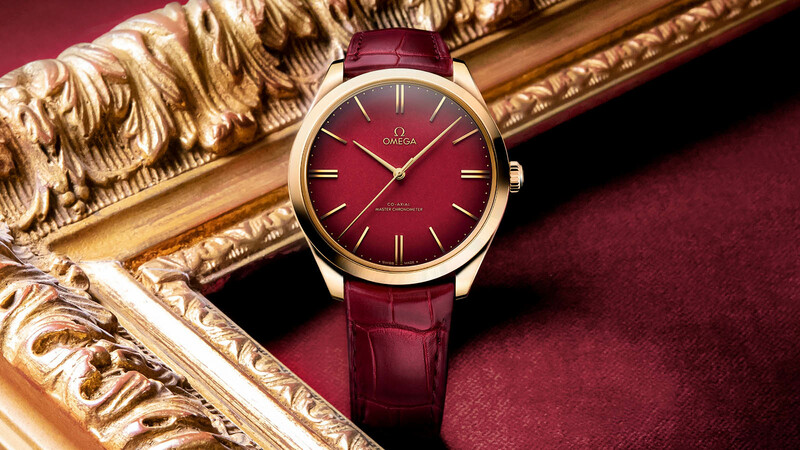 At first glance, the design of this new timepiece follows the popular style of the OMEGA Trésor gents’ collection. 18K yellow gold has been used to create the 40 mm case, along with the domed indexes and elegant hands. 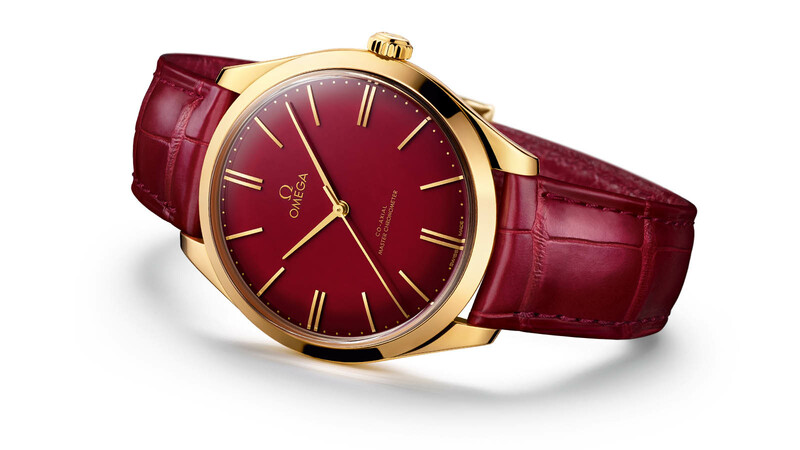 On the face of the watch, OMEGA has created a red enamel dial. This challenging design follows the company’s iconic brand colour and wonderfully matches the burgundy leather strap with its tone-on-tone stitching. 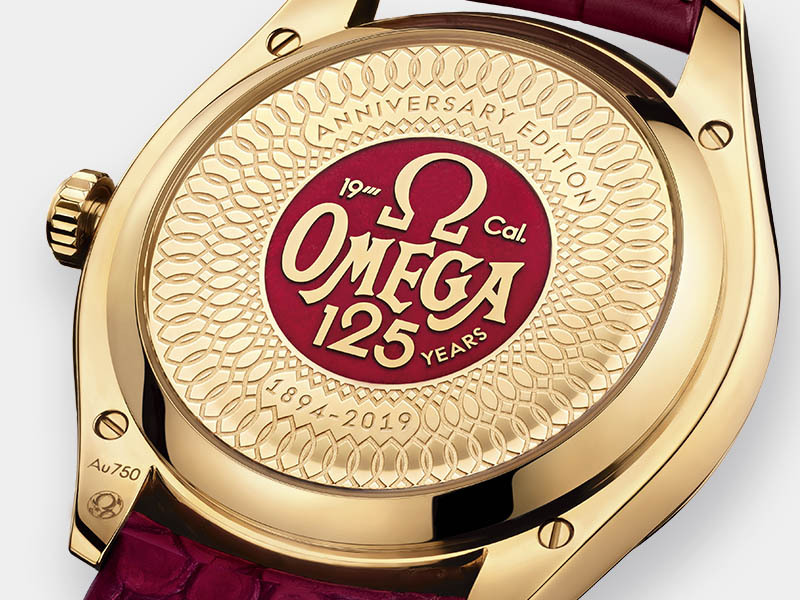 On the caseback is an 18K yellow gold anniversary medallion filled with red enamel. This is surrounded by a decorative engraving known as damaskeening - the same swirling pattern originally used on some of the 19-ligne “OMEGA” movements produced for the USA. 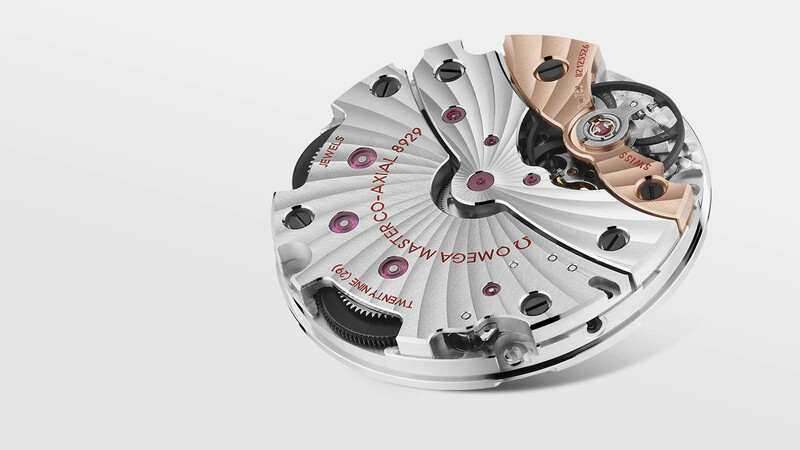 At the heart of the timepiece is the new OMEGA Master Chronometer Calibre 8929. In tribute to the famous 19-ligne Calibre, this is the first manual-winding Master Chronometer movement created by the brand. 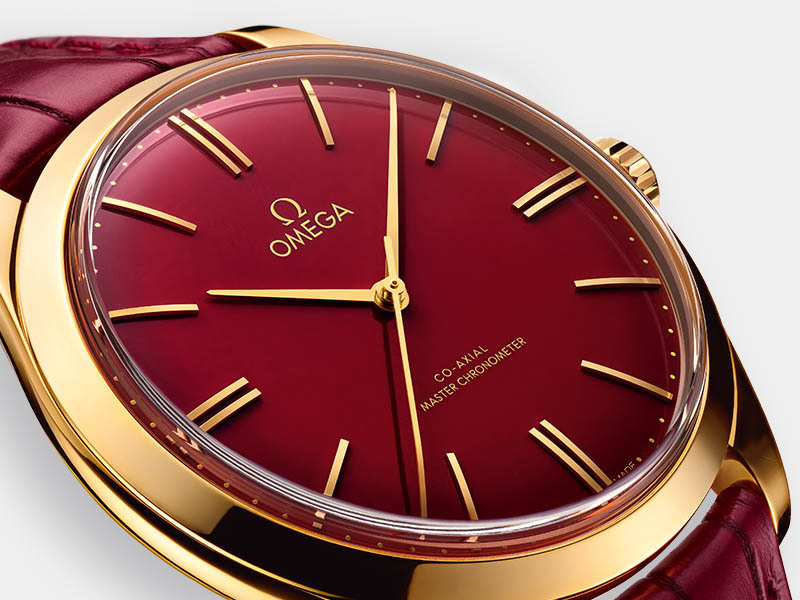 With innovation both inside and out, there is perhaps no better way to celebrate the proud history of the OMEGA brand. With this watch, you will forever own a reminder of its early beginnings and famous legacy.